Our hospice-based volunteers work alongside ward and admin staff to enhance the support we give to patients and their families. 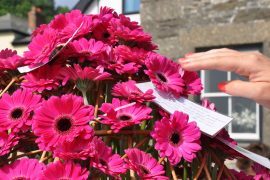 Based at either St Julia’s Hospice in Hayle or Mount Edgcumbe Hospice in St Austell, the volunteers contribute greatly to the warm, welcoming and calm environment. 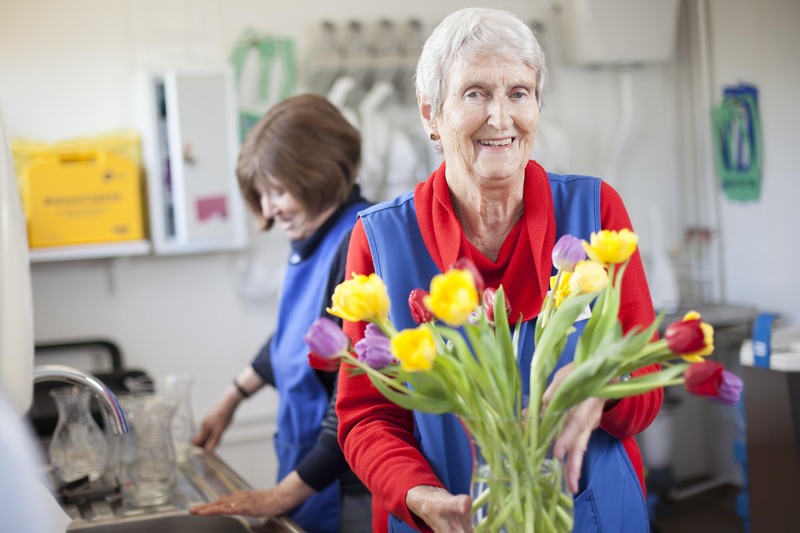 Hospice volunteering suits people who are caring and enjoy helping in a practical way. Working directly with patients and their families, it helps to have a degree of emotional resilience because of the difficult time they often face. Our two hospices have beautiful gardens, and volunteers help prune, plant and maintain them. This flexible role suits people who have an interest in gardening and some knowledge of plants. Volunteers who work on reception play an important role in welcoming visitors and offering hospitality to patients’ relatives. They deal with general enquiries/telephone calls and have regular contact with staff. They work a four-hour shift, morning, afternoon or evening shift which can also include weekends. Our ward volunteers are caring people who support the hospice staff in a variety of ways – serving meals and drinks, chatting to patients and their relatives or carrying out light domestic duties, such as ironing, tending flowers or stocking cupboards. They work a regular four-hour shift, weekly or fortnightly.